As part of a residency at the historic Hatfield House in Philadelphia, I am working with a group of artists and activists to gather oral histories and map cultural assets. This participatory process will synthesize community input about the future of the Strawberry Mansion neighborhood and provide feedback about the development of East Fairmount Park. In upcoming months, we will curate exhibitions showcasing neighborhood artists and cultural producers, host community discussions, and gather ideas and input. During the residency, Hatfield House will serve the residents of the neighborhood through direct resources, personal and location-based historic preservation, and community celebration. 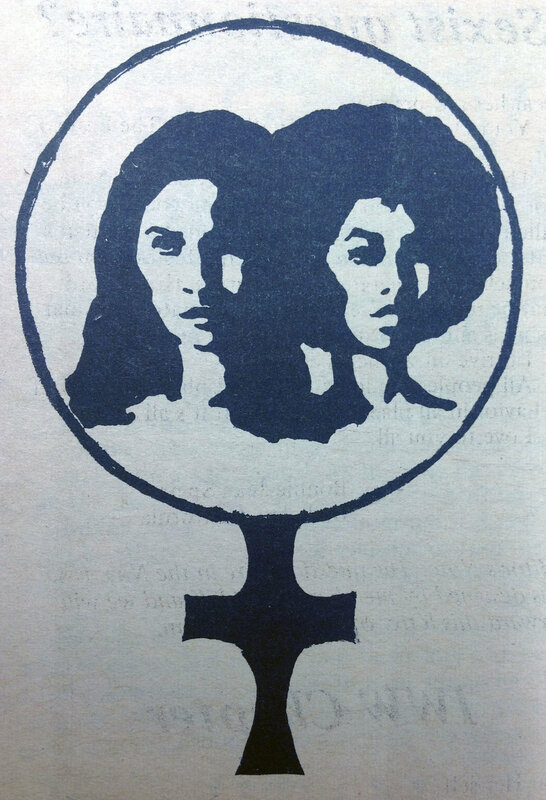 Ongoing collaborative project with the Black LGBT Archivist Society and fellow anthropologist Laurian Bowles which uses photographs and archival materials to trace cross-racial and cross-class feminist organizing in Philadelphia from the '60s-'80s. We are interested in the archive's potential for collaborative artistic and ethnographic practices, as well as the material and sensory aspects of archival objects themselves. Supported with a Leeway Art and Change grant. ARSE is an intentional recreation of a 'consciousness raising' group from the '70s with intersectional praxis at its heart. We explore the radical potential of 'the personal is political' and its utility in our current era. Part performative and deliberately referential, the group debates the legacies of performance art, the impetus of intentional communities, womanist and transnational feminist histories, social rights and labor movements, and craft and artistic movements. We are co-editing a special issue of Senses and Society to celebrate the 20-year publication of Paul Stoller's Sensuous Scholarship. Through Stoller’s accounts of the sensory worlds of Songhay spirit possession and griot ritual and what these reveal about post-coloniality in West Africa, Sensuous Scholarship paved the way for linking sensory epistemologies to performativity and memory, the vicissitudes of illness and pain, and affect. In contrast to the proliferation of bodily scholarship that proceeded it, Sensuous Scholarship incited scholars to incorporate smells, textures, tastes, and sensations into their work and to comprehend indigenous theories of knowledge through “bodily ways of knowing.” To attend to the body is to attend to the political – what is and is not admitted, what is hidden, what is made deviant, and what triumphs in the shifting world of human relations. The issue will bring together contributors from anthropology, ethnomusicology, gender studies, and political science and includes case studies from Latin American, Africa, Asia, and North America. Ethnographer and community organizer for large-scale socially engaged art project in South Philadelphia. Playgrounds for Useful Knowledge was a community-based experimental urban platform using play, games and performance to reveal, share and celebrate local knowledge produced in South Philadelphia, an area known for its rich cultural and ethnic diversity. A project by Cohabitation Strategies (CohStra), Playgrounds sought the restructuring of urban spaces by promoting new social relations across cultural and economic divides, with the objective of generating just and sustainable forms of collective inhabiting to confront the pressures of accelerated urban development.